As someone who tries to ‘do it all’ the following will come as no surprise! My friend, Andrew, is celebrating his 40th birthday this year. As part of his celebrations he was keen to take a few of us to a Classic FM Concert at the Albert Hall. Typically it was this evening… only an hour and a half after my plane from Dubrovnik landed in Gatwick! Logistically it is possible. Gatwick to the Albert Hall in 90 minutes. As we all know that’s only if the trains are working to timetable, the taxis are plentiful at Victoria and, of course, my plane is on time. The plane landed early… but there was only one member of BA ground crew available so we stood (me at the front of the line) with the door open, waiting to get off. Frustratingly this was over 15 minutes. I could see my escape but wasn’t able to make it! Rushed through passport control, no baggage to collect and headed to the trains. Spotted the first train that said Victoria and jumped on just before it moved off. A few minutes in to the journey the ticket officer told me that I’d not got the right ticket and I was fined £39! Not happy at all. Arrived into Victoria and the taxi queue had relocated and was empty (aha that’ll be the tube strike today). Walked out and found a taxi. 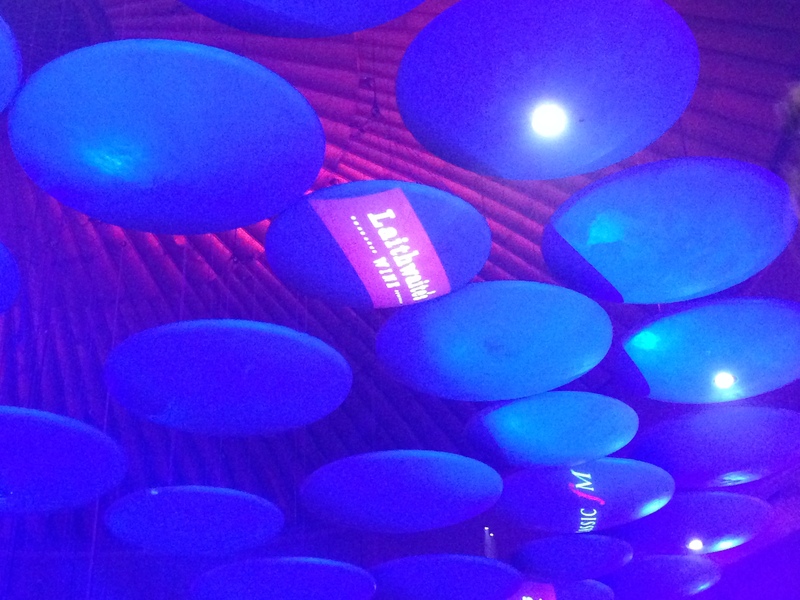 Arrived at the Albert Hall at 7.30pm exactly…. but the concert started at 7.30pm! Not bad though.. just missed the first piece. ClassicFM host two concerts a year at the Albert Hall. 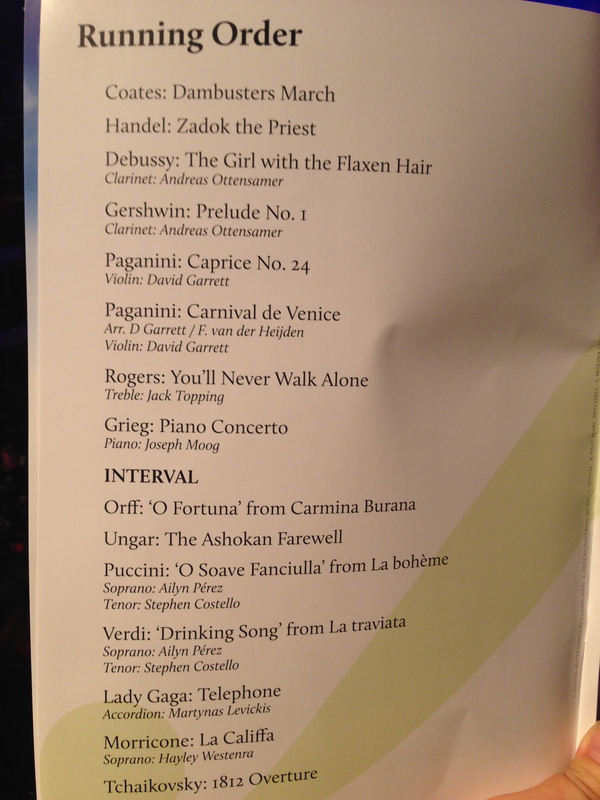 The tickets sell out quickly and the program is made up of a mixture of known pieces and favourite numbers. The audience is mixed too. Definite highlight for me was to hear Hayley Westenra live. What a treat for us all to enjoy this concert with Andrew on his birthday. Time for a sneaky beer afterward too in the Queens Head. It wasn’t long before we realised that the bar was also filling up with musical instruments – ha, it appears to be where the musicians head after performing too! No tubes home… a selection of buses later and I’m home and falling into my bed. What a fabulous evening.